This dress code does not apply to those attending our Adult/Teen Open/Drop-in Classes or our Open Dance Division classes. (Just wear comfortable & appropriate dance attire.) However, our dress code does apply to those attending our open Jazz and Modern classes (see below). 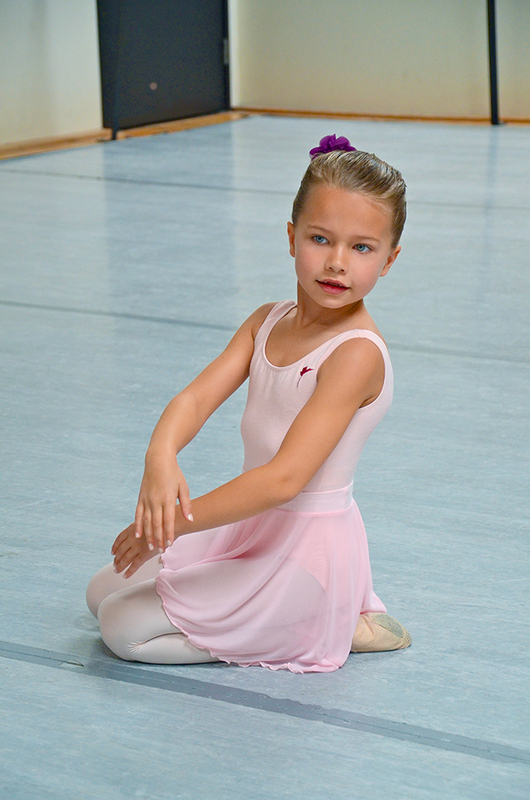 Note to Parents of Dancers Ages 4-8: We would like our young students to really enjoy their dance class. You can help them by making sure they are dressed in comfortable clothes appropriate for their class, and please, no imitation ballet slippers. The Maple Conservatory has defined the following dress code for our Conservatory classes. Females: Dancers are asked to wear leotard and tights, but may put stretchy pants over their tights during the tap portion of the class. A dance skirt is optional. Pink ballet slippers*. Hair should be pulled back off the face either in a ponytail, bun, or braid. Males: T-shirt tucked in neatly (or leotard), dark tights, socks, black or white ballet slippers*. The dress code for our Conservatory students in Prep-Ballet, Primary Level and Levels B7-B1 is now based on a standard class uniform. Uniforms may be ordered on our website or in person at our front desk. Females: Ballet pink leotard, footed pink tights, pink ballet slippers and ballet pink ballet skirt. (The skirt should not fall below the mid-thigh.) Note that the skirt is an integral part of class and is required. Costumes are not allowed. Males: White t-shirt tucked in neatly (or white leotard), black tights, white socks, and black or white ballet slippers. Females: Footed or convertible pink tights, pink ballet slippers and pink pointe shoes (as required). Tights must be worn underneath the leotard. Females may also wear a skirt for Variations classes. Conservatory female students in Primary Ballet Level and Levels B7 through B1 will also be assigned a colored hip alignment belt according to their placement level. Each Conservatory female student will receive a complimentary belt after their placement has been determined. Also, female dancers must always wear their hair in a neatly, pulled-back bun. Male dancer’s hair should also be neat. No jewelry may be worn in class except for small pierced earrings. For our Conservatory adjunct classes such as jazz and modern, our Conservatory dress code still applies. For jazz, snug-fitting shorts or jazz pants and a snug-fitting top are suggested. (Please, no baggy shorts or gym shorts.) Jazz shoes are not necessary, but we do recommend Foot Paws (not foot thongs as they wear out quickly). For character, black character skirt and black character shoes with 1.5 inch heel are required. Shoes that can cause damage or make marks on the studio floors are not allowed in class.